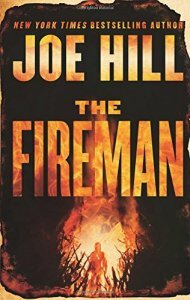 The Fireman, Joe Hill (William Morrow 9780062200631, $28.99, 768pp, hc) May 2016. The Fireman, Joe Hill’s big new novel, is a freight train of a book. Long, composed of many sections, it’s already in motion on the first page, and it does not let up until the very end. Its premise is straightforward: a plague is spreading around the world. The infection’s scientific name is Draco incendia trychophyton, but its popular name, Dragonscale, hints at its nature. After it manifests on the skin as a pattern of black and gold scales, the infection causes its victim to burst into flame an indeterminate – but not terribly long – time after. Its origin is uncertain, as is its means of transmission. There is no effective treatment for it, and it is spreading relentlessly. In the face of its advance, nations strain to cope, and the fear Dragonscale evokes leading governments – and increasingly, groups of frightened citizens – to more and more extreme measures. This is apocalyptic stuff, a scenario for a wide-ranging narrative with a generous cast of characters (think The Stand, Lucifer’s Hammer, Swan Song). 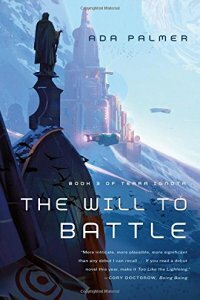 Joe Hill, however, chooses to eschew this approach, opting to focus on a single character coping with this end-of-the-world situation within a localized setting. His protagonist, Harper Grayson, née Willowes, is an elementary school nurse in Portsmouth NH, with a fondness for Mary Poppins. She’s married to a somewhat self-centered man, Jakob, a failed writer and something of a snob with whom she nonetheless manages to maintain a successful relationship. As the Dragonscale epidemic ex­pands to Portsmouth, Harper leaves her position at the school to work at the local hospital, which she must do from inside a bulky hazmat suit. It is while on duty at the hospital that Harper first encounters the eponymous Fireman, when he’s standing in line holding a young boy he insists requires urgent attention. The nurse in charge of the line demands the increasingly irate man wait his turn, but Harper realizes the boy in his arms is using sign language, and through her rudimentary grasp of it is able to diagnose him as likely in need of an appendectomy. This earns her the Fireman’s gratitude. The next time Harper sees him for any length of time, she is desperately in need of the Fireman’s assistance. She has manifested the Dragonscale tattoo, and around the same time has discovered that she is pregnant. Bolstered by reports of infected women who have delivered uninfected children, Harper’s inclination is to continue forward with the pregnancy. For her husband, though, the only course of action left is for the two of them to commit suicide, opt out of the catastrophe in which they’ve found themselves. When Harper refuses, Jakob resorts to violence, breaking into their house and threat­ening her with a pistol. Her escape from him is aided by the timely intervention of the Fireman, who reveals himself to be possessed of a fantastic power, the ability to produce and control flame, which seems as if it must be connected to his case of Dragonscale, though in what exact way, Harper cannot guess. Temporarily safe from the homicidal Jakob, Harper is brought by the Fireman to Camp Wyndham, a local summer camp on the Atlantic, not currently in use. Here, a group of infected women, men, and children have gathered to es­cape a world grown hostile and deadly to them. Within this sanctuary, the community has dis­covered something incredible: they can control their Dragonscale, prevent it from erupting into killing fire. By gathering together and singing, they can enter into a state they call the Bright, in which their markings shine but do not burn, and in which they seem to enter a low-level psychic rapport with one another. None of them displays the same powers as the Fireman, who lives apart from them on a small island just offshore from the camp. But for the moment, Harper – who has started to refer to herself by her maiden name, Willowes – feels safe. She is put to work by the camp as their nurse, a position she happily ac­cepts, and she participates in the group singing, quenching the Dragonscale’s immediate threat, and keeping her unborn child safe. However, the novel still has a way to go. The name of the camp, Wyndham, is an early sign that it will not be the idyllic retreat for which Harper hopes. The allusion calls to mind the late English writer’s The Midwich Cuckoos, with its community of psychically powered children; it also evokes The Chrysalids, in which the obsession with genetic purity, and the horror of mutation, underpin the novel’s post-nuclear-war society. Even as the outside world turns to death squads to deal with the infected, the members of Camp Wyndham are drawn into a group mentality that is only partially explained through their communion in the Bright. Indeed, with alarming speed, the situation within the camp starts to mirror that outside it, as fear for personal safety leads those in positions of power to adopt ever more draconian policies, and those they are governing to embrace those policies with disturbing enthusiasm. Much of Joe Hill’s fiction, especially his longer works, has as its guiding principle the famous quotation from Walt Kelly’s Pogo: ‘‘We have met the enemy and he is us.’’ The novel makes early reference to the September 11 terrorist attacks, and its imagery of swirling ash recalls that awful day and others like it. It would be incorrect to read the novel as a simple allegory for the so-called War On Terror, but it would be equally remiss to deny any connection to it. John Wyndham, though, is not the only writer to whom The Fireman alludes. Hill includes J.K. Rowling in a list of ‘‘Inspirations’’ he places at the beginning of the novel, and Harper and her friends make references to the characters and events in the Harry Potter series. Indeed, the novel might be seen as playing a kind of dark riff on Rowling’s novels, with Dragonscale filling the role of magical ability, and Camp Wyndham of Hogwarts – there is even a literal phoenix that appears at crucial moments. (And for those who want to continue with such parallels, the initials of Harper’s married name, H.G., match those of Hermione Granger.) But where Rowling’s work expresses a faith in the ability of communities to come together to resist and overcome evil, The Fireman is more pessimistic about such matters. In addition to Rowling, Hill nods in the direction of The Stand and the Dark Tower series, gives a cheeky shout-out to Margaret Atwood, debates the merits of the Beatles vs. the Rolling Stones, and celebrates the virtues of former MTV VJ Martha Quinn. In the end, The Fireman demonstrates abundantly the strengths of the long novel. It immerses readers in a vividly imagined environ­ment, allowing them to develop relationships with compelling characters caught up in extreme situations, forced to make impossible decisions. Increasingly, Joe Hill has exhibited a facility with extended narrative, from the Locke & Key comics to his previous novel, NOS4A2. His new book joins what is already an impressive body of work, one whose characters continue to live in the mind long after the last page has been turned. Harper, however, is wrong about the Rolling Stones. John Wyndham’s The Chrysalids may be better known, at least in the U.S., under the title Re-Birth, which is how I first encountered it (as a Science Fiction Book Club member in the early 1970s) in Anthony Boucher’s two-volume Treasury of Great SF.